Stem Blotch of Oats - A New Problem? A crop of Mascani winter oats was inspected on 5th June 2007 and a problem that initially looked similar to a nitrogen scorch was observed. Lesions were consistently found high in the crop at the second leaf node and above. Younger lesions were pale orange and elliptical (example 1) but as they progressed they became paler (example 2). Microscopic examination of the affected area revealed spores similar to Pseudocercosporella herpotrichoides, the causal organism of Eyespot. 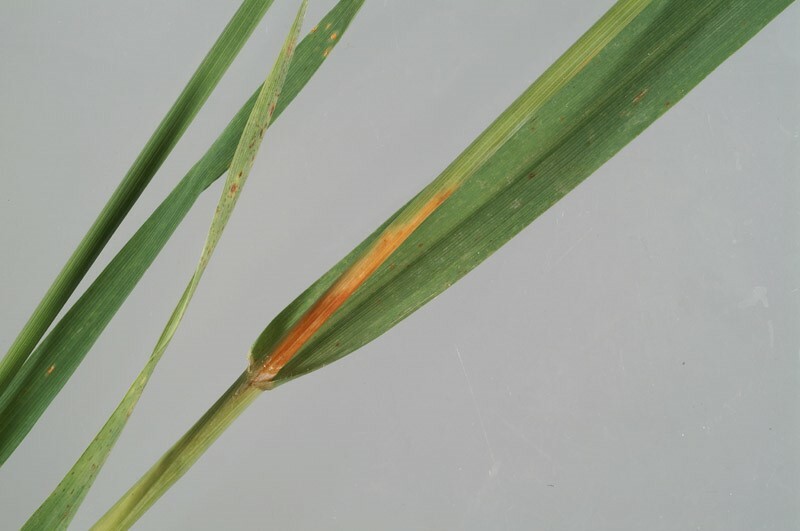 However, the symptoms were unusually high in the plant for this disease and a real-time PCR confirmed that the lesions and spores observed were not caused by the eyespot pathogen. 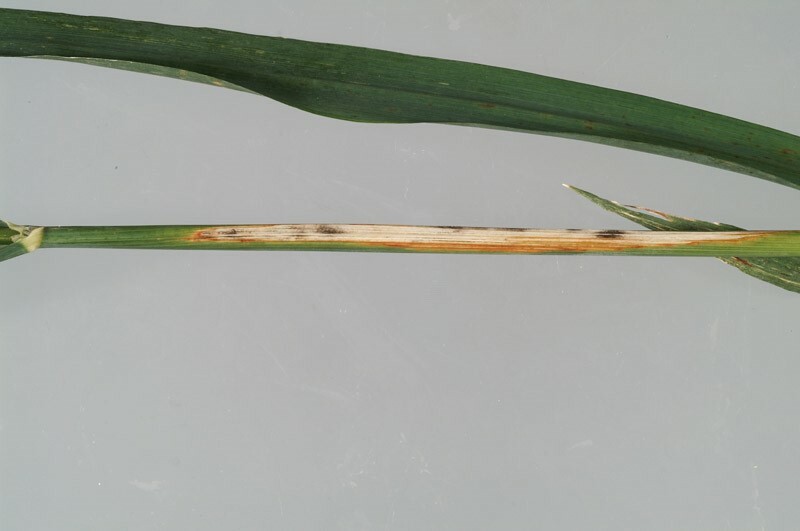 No evidence of other common oat pathogens, e.g. 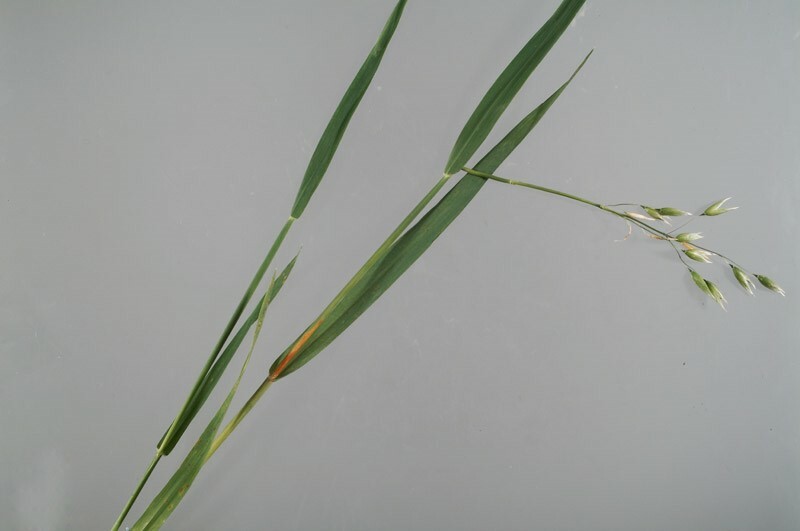 Fusarium or Rhizoctonia was observed. Oat seedlings were inoculated with the fungus (grown in culture) but no symptoms developed. Therefore, we were unable to prove whether the isolated organism was the cause of the symptoms. This may indicate that the fungus is a secondary organism and the primary cause could be due to a pathogen that was not observed, or a physiological effect. CSL are currently carrying out a growing on test of the seeds to see if the disease reoccurs. This farm has not grown winter oats for at least 20 years. No oats are grown in the immediate area. 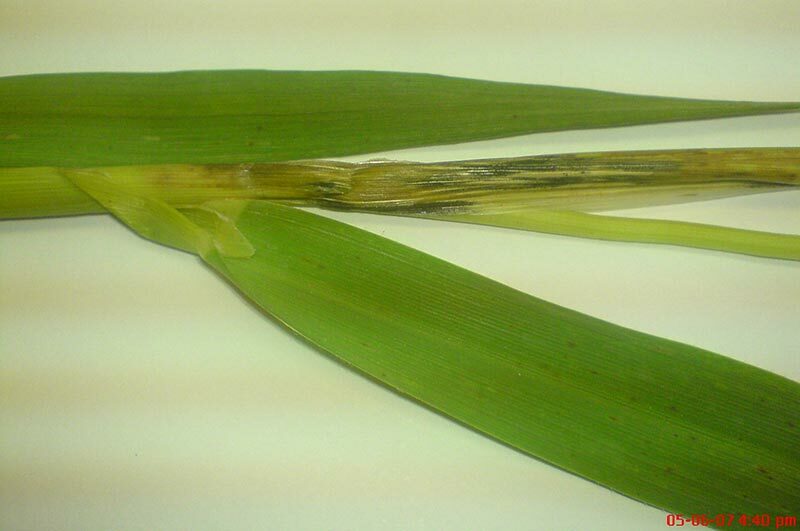 In a normal year, oats are a low input crop, so it's unusual to see high levels of disease in this type of crop, near the top of the plant. Farms in close proximity to the affected field, both on the Wolds and Holderness which have been growing oats (mainly Gerald and Mascani) regularly over the years were inspected, but no symptoms were found. J K Senior & Sons will be monitoring crops of oats closely this year, however, however please send any samples to CSL for the attention of A Barnes/P Beals.